Without the drive technology element of a piston, the industrial revolution may have gone a different way. Even the invention of the steam engine is based on the principle of converting the energy generated with steam to mechanical energy through the upstroke and downstroke action. This principle has stood the test of time in combustion engine technology to this day: In modern engines, the piston converts the thermal energy created by the ignited fuel mixture into driving power. Pistons of different designs and sizes are used in any vehicle, whether it is powered by a petrol engine, diesel engine or even a Wankel engine. This technology works behind the scenes. The average car driver doesn't know and doesn't need to know what type of pistons power his vehicle. Engine manufacturers, on the other hand, need a piston that is individually designed and adapted based on the design of the engine and the specific intended purpose. This means that development work in the field of piston technology is extremely varied. The focus is on the choice of material and geometry of the pistons, as well as finding suitable strategies to guarantee the lowest possible friction between the pistons, the piston rings and the cylinder liners in the engine crankcase at all times to help achieve an optimal consumption and emissions performance. Since 1920, the history of the piston is closely connected with KS Kolbenschmidt in Neckarsulm. As a pioneer for pistons made from the lightweight aluminium, Karl Schmidt first has to overcome many obstacles and prejudices. Success in a piston competition held by the Reich Ministry of Transport in 1921 paves the way. This marks the start of the KS Kolbenschmidt success story that has lasted to this day. Countless developments and patents, a vast number of piston types and a strong focus on quality and costs are the basis of the company's reputation as a development partner of almost all major car manufacturers from this point on. As early as the 1920s, it is clear that a lightweight design of engine components offers significant advantages. The ever increasing speeds in particular make it necessary to reduce the masses oscillating back and forth in the engine. On the search for the best light metal alloy for automotive pistons, the Reich Ministry of Transport organises a national competition in 1921. 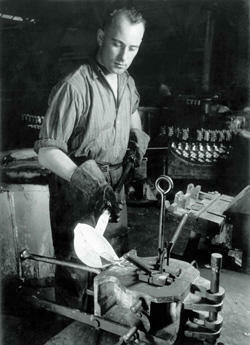 Karl Schmidt takes part and presents a piston made from an alloy containing 15 percent copper in addition to aluminium. Even though the Al-Cu piston from Neckarsulm "only" achieves second place behind a magnesium-copper piston, aluminium wins official recognition as a piston material. Al-Cu alloys become the standard in the industry for a long time, although the material was initially hard and brittle due to the high iron content and frequently resulted in piston fractures. Further down the line, the iron is gradually replaced with nickel and cobalt, which improves the elasticity of the pistons. 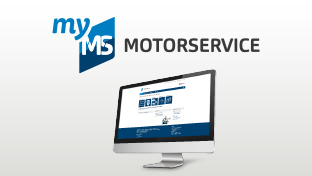 Kolbenschmidt – as the company is soon known – is extremely successful with the aluminium alloy piston and wins numerous customers from the German and international vehicle industry. In the first ten years of piston production, only cast blanks leave the plant in Neckarsulm. Further processing takes place externally. 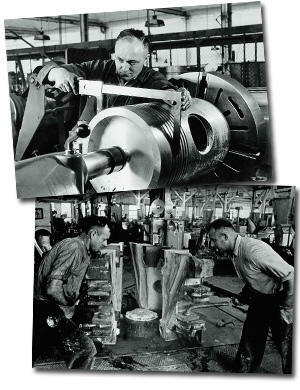 In 1934, however, Kolbenschmidt sets up its own piston processing plant: Whether pure aluminium pistons plated for protection against thermal stress, oval-shaped pistons for optimal running performance or U-belt pistons for high durability in two-stroke engines – the piston lab in Neckarsulm produces a steady flow of metallurgic and engineering innovations. The quantities produced quickly run into the millions: The twelve millionth piston is cast in 1937. But it's not only passenger cars that are being fitted with pistons: In 1923, Kolbenschmidt produces its first large-bore (280 mm diameter) piston for diesel engines for the Cologne-based engine manufacturer Deutz using the continuous casting method. The first large-bore piston with 500 millimetre diameter follows in 1940. In 1927, the aluminium-copper alloy is replaced with a new product made from an aluminium alloy with a high proportion of silicon. The so-called "Alusil" piston starts its triumphant progress through the automotive world that has lasted to this day. Following years of stagnation after the war, Kolbenschmidt attracts attention again on the market with a new development in 1948. The ring belt piston is developed for controlled thermal expansion of the piston skirt at high operating temperatures and enters large-scale production. For this model sold in large quantities all over the world, a steel plate ring, usually serrated, is moulded on the top skirt end. Two years later in 1950, it is followed by what was then the world’s largest aluminium piston for four-stroke diesel engines with a diameter of 573 millimetres. 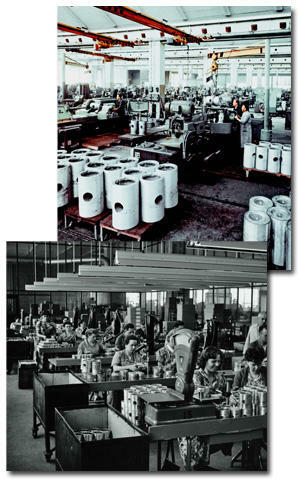 In 1959, Kolbenschmidt produces its first 400 mm diameter pistons for a 12 cylinder engine with Duleman ring carriers. They are cast using the Alfin process and enable aluminium alloy pistons to be used in heavy fuel operation for the first time. 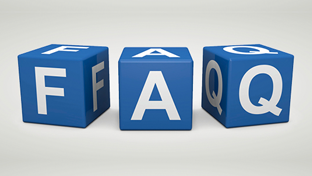 Previously, heavy fuel had always resulted in a high level of piston and piston ring wear. The pistons are made even more resilient through intensive cooling in the ring zone. Piston cooling is also gaining importance in passenger car engines. After all, it is the component that has to withstand the highest levels of stress in the car. The first cooling channel tests for diesel piston crowns start in 1963 using sintering technology. This soon reaches its limits, however, as removing the moulded sand or metal cores takes enormous technical effort and they can never be removed completely. In 1965, the use of salt cores which could be easily flushed out after casting is a major innovative solution for large-bore pistons initially. Further innovative solutions include the segment strip pistons and the rotary pistons for Wankel engines, which are a key focus of development at this time. In 1971, the piston iron coating technology taken over from Reynolds is introduced and is still a milestone in the field of piston technology to this day. The company is once again a pioneer in a manufacturing process that is still used as a standard process today - the profiled pin bore method, where the pin bore is processed to create a complex profiled bore using sophisticated machining techniques. This achieves optimal resistance and force absorption for the piston hubs. For pistons in ship engines, locomotives or power plants, assembled models are becoming increasingly popular, consisting of a steel upper section and a grey cast iron lower section. In the 1980s, focus areas include lightweight, low-wear pistons for passenger cars, extremely low-profile pistons and material innovations. One development in the field of lightweight design is a piston with seven-piece cast core, which forms the basis for modern lightweight pistons today. Further developments include pressure cast pistons with local fibre reinforcement and hard anodising of the piston ring grooves. 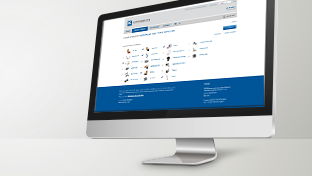 Kolbenschmidt plays a key role in improving environmental conditions with its products. In the 1990s, even stricter emissions regulations lead to a further increase in the stress on this central component in the engine. The focus among automotive design engineers on achieving ever smaller top lands – and therefore lower emissions – results in a further improvement in material technology in the joint engine development, with new high-temperature resistant alloys and the development of pistons with a variable cooling channel cross section. The same is true for large-bore pistons, which handle the increased temperature level with the vent cooling system patented in 1991. 1996 also saw the launch of the biggest four-stroke piston in the world to date. With a diameter of 640 millimetres, it is used for drives in container ships. Whether through innovative material development or comprehensive know-how in production: With its innovative power, the company has been strengthening its leading international position for decades despite strong competition. 1997 Mini diesel pistons for the "Smart"